﻿ What Does a Factory Audit mean? What Does a Factory Audit mean? A factory auditor is a professional who checks elements of a factory or plant's facilities and operations to ensure capacities, safety, quality management, and compliance with regulations. Factory auditors became common in the late 19th century, when many governments enacted the first laws regulating procedures within factories. Some of the first government-employed auditors attempted to root out the use of child labor; in the United Kingdom, the 1833 Factory Act became one of the first to mandate the creation of inspector positions to ensure that children under the age of nine were not used for factory labor. As government regulation of manufacturing expanded, the number of inspectors increased vastly throughout the world. A modern factory may now undergo government inspection for health compliance, safety preparedness, labor law adherence, environmental standards, and quality assurance. 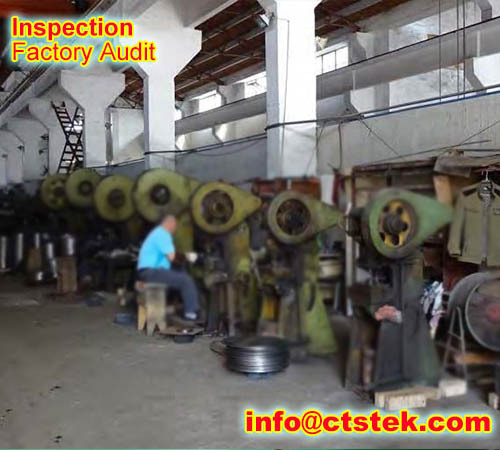 We offer the Factory Audit services, our professional auditor will schedule a visit to the factory on-site, and perform the below check, collect some documents with pictures for the clients reference. Gap Analysis FE focus on if the factory is real exist and legality.